More cards from the Wal-Mart Combo I purchased last month. 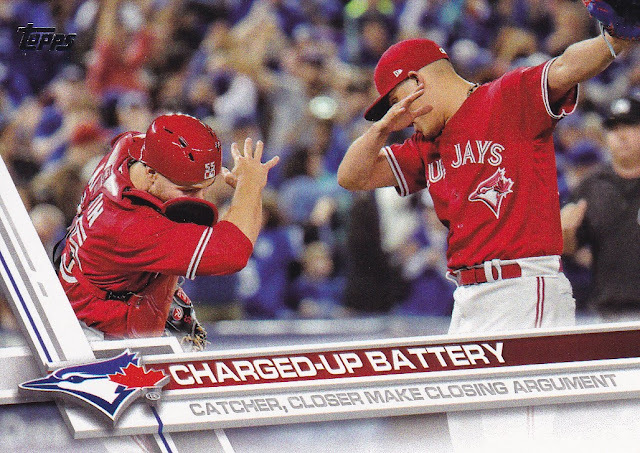 This post we'll look at the 2017 Topps Series 1, Series 2 and Update cards I received. There were five packs of each series. 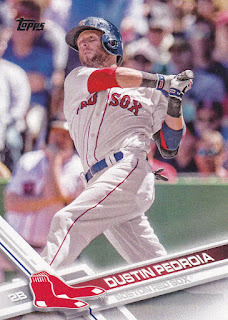 My series 1 cards were pretty good highlighted by Red Sox all-time great Dustin Pedroia in a nice looking card. 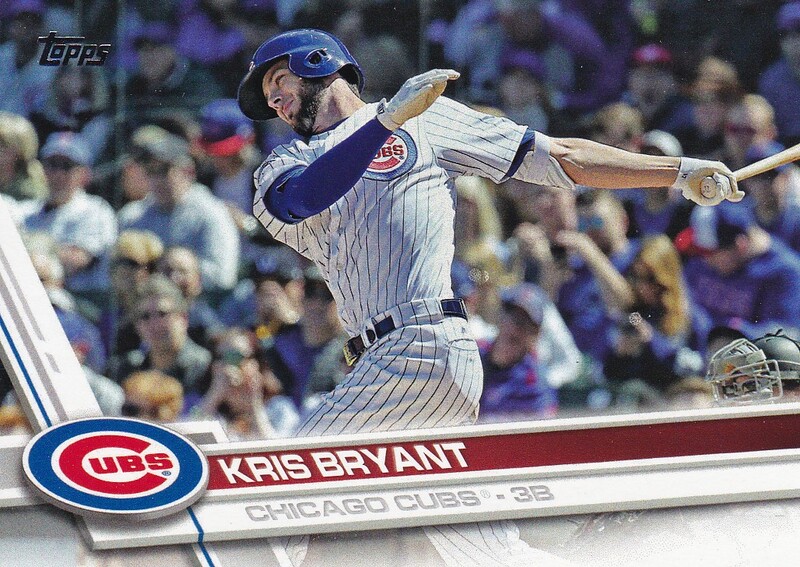 There were other stars as well including Albert Pujols, Kris Bryant and Dallas Kuechel. 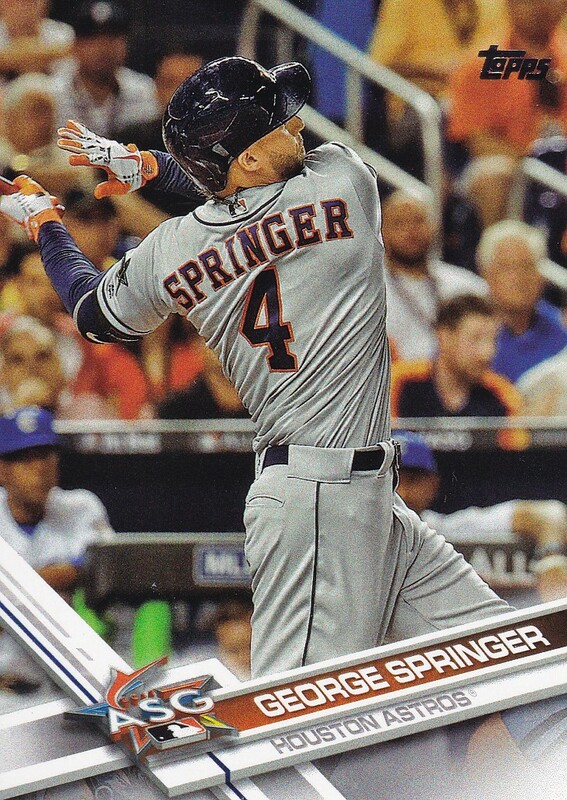 The 2017 Topps is a design I like. These series 1 packs didn't wow me but they were still fun. 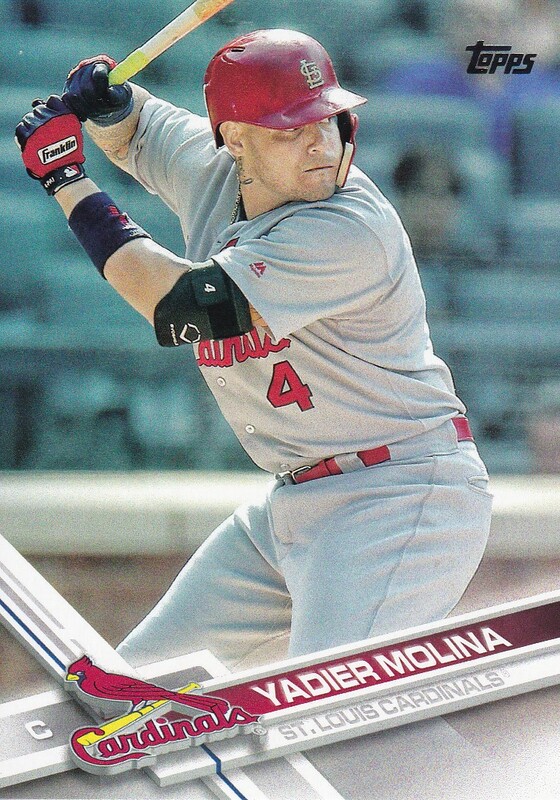 The Topps Series 2 cards offered up personal favorite Yadier Molina. I also pulled World Series Champion David Price as well as current, and what feels like forever, free agent Manny Machado. This series puts a focus on younger players in their first years so I was happy with my pull of some of the big stars of the league. The Update series always give me some all-star game cards. I'm an all-star game guy so these are always fun for me. George Springer. He and the Houston Astros of course would go in to win their first World Series. That team is still young and stocked so they should contend for years to come. Are the Blue Jays dabbing? Or something else this old man doesn't get? Still a fun card. Overall I enjoyed the 2017 packs but I can't say they blew me away. All the Wal-Mart combos I've put up so far can be seen here. After seeing these cards... I love 2019 Topps that much more. I don't think 2017 Topps looks terrible, but I just can't handle all of the zoomed in photography. I hadn't looked at these cards like that but I get what you are saying.